Larry O. Plumbing & Rooter is a professional plumbing located in West Tennessee. 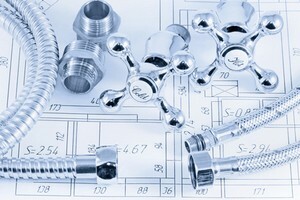 We provide superior plumbing service unmatched anywhere in Fisherville. We value every customer that hires us. We work diligently to earn your trust and business. We stand by our work and guarantee all our top of the line plumbing products and efficient plumbing service. The greatest benefit to hiring Larry O. Plumbing & Rooter is the experience and knowledge we bring to every plumbing repair job. We complete every repair or installation with great care and precision, so that your plumbing system is running at peak performance all year long. For a truly unique repair or installation experience, check out the qualified team at Larry O. Plumbing & Rooter. We are Fisherville's plumbing specialists! Need a new water heater? Is your current water heater breaking down? If you are looking for dependable water heater installation or repair in Fisherville, then call the professionals at Larry O. Plumbing & Rooter. We are West Tennessee's leading residential and commercial water heater company. We carry a great selection of brand name water heaters that are durable, easy to use and distribute hot water for everyone in your home or office. Whether your water heater is in need of repairs or total replacement, we can help you with all your heater issues. We work fast and save you time and money. We can diagnose your water heater's problems and fix any component or give you an entire replacement. If you're looking for a great alternative to conventional water heaters then tankless water heaters are a great option. They use less energy, heat your water faster, and can last for up to 20 years. We provide affordable in-home water heater installation that is fast and reliable. We schedule an on-site visit in order to assess your needs, help you select the right model, and properly install your water heater. All of our work is guaranteed. We understand that whether you are home or a business owner that your time and your money are valuable. We walk you through our step by step process so that there is no guesswork. Then we go to work and solve all the problems in no time at all. Why wait to get your plumbing installed or repaired? Go with the pros at Larry O. Plumbing & Rooter.